is a formal, written proposal sent to the hiring authority following an employment meeting or at any other opportune time. This document is an actual proposal offering your services to the company or organization. In effect, you are telling the prospective employer that you have accepted them as your future employer! Submitting a proposal is an innovative and effective method of showing initiative. It is also a strategy useful for creating a job that does not exist, but whose creation you believe. Develop/implement a measurable customer service program to achieve 98%(or above)service rating. If, after the initial 90 days of probation, you feel my work exceeds your highest expectations, we would discuss a more permanent, long-term relationship based on performance. Furthermore, I believe I can help market and promote Abrams and Abrams Commercial Plumbing Contractors to the many contacts I have in this area. I am committed to being a contributing member of your team in business development as well. I will contact you next Monday, after you have had the weekend to review this proposal. I believe it is a win-win situation for both your company and me, and I look forward to discussing this next week. The University of Utah is a research and teaching university that cultivates the highest standards of intellectual integrity and scholarship. The Office for Faculty provides oversight for the faculty appointment, hire, and tenure processes. For the School of Medicine and other health science academic departments and programs, oversight is provided by The Office of Faculty Administration in the School of Medicine. This PDF Hiring Proposal Document is from Southeastern Louisiana University. Founding in 1925, the Southeastern Louisiana University is a diverse family of students from over 40 states and over 50 foreign countries. 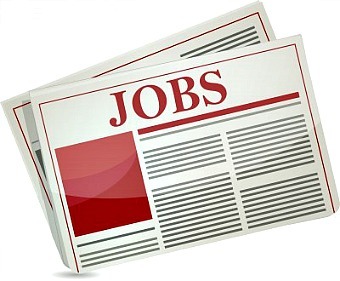 You can find more employment information at Southeastern Employment Site. The College of Arts and Sciences is the heart of the University of Memphis, an urban research university. You can visit Employment Workforum at employment opportunities at the University of Memphis.